To submit your poetry and prose (in English or another language), 2D art, 3D art, film, and music, please use the following link to fill out a google form. You may submit multiple works; they can be individual pieces or a portfolio (a collection of 5-8 related works). Submissions will be reviewed blind by the Apotheosis Editorial Board. NEW IN 2019: Apotheosis will accept writing in other languages. These pieces will be reviewed by teachers of the language along with members of the Editorial Board. Apotheosis will be published both online and in the final edition of the BSM KEQ magazine! 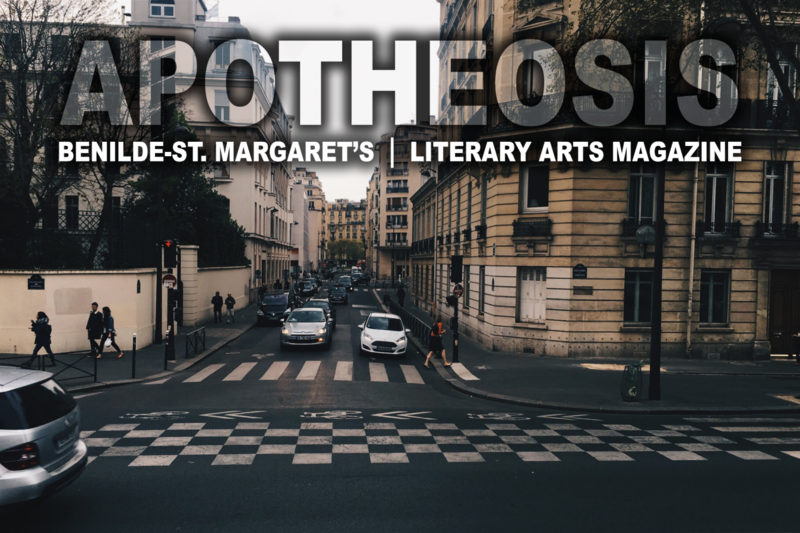 Thank you for your interest in BSM’s literary arts journal, Apotheosis!